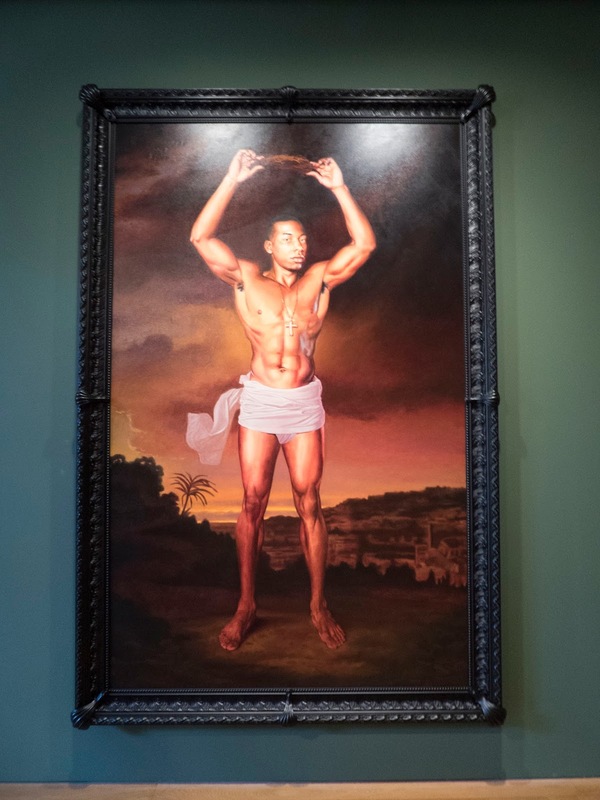 When I wrote about the black images in European art at the Petit Palais in late 2015, I never dreamed that I'd be able to write an article about an exhibition of works by a person of African descent being shown at the same institution. 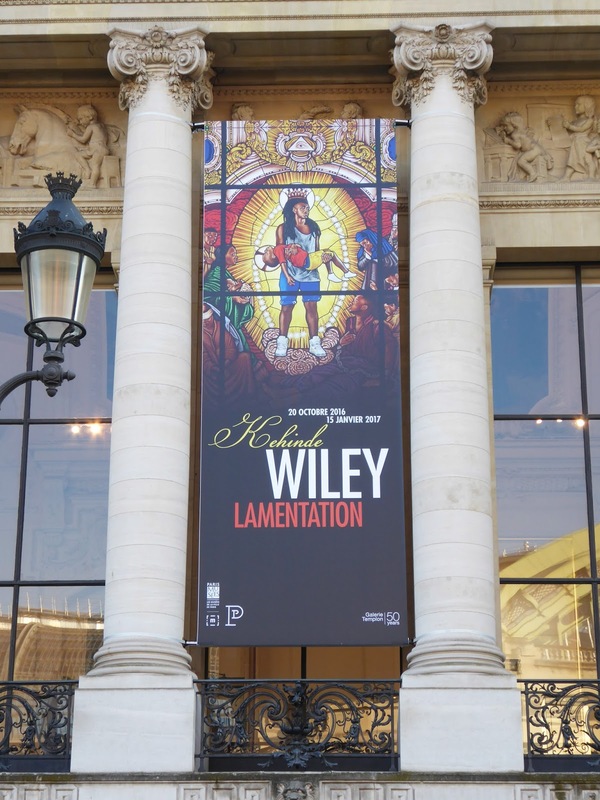 So I am pleased to be able to report on the Kehinde Wiley exhibition, Lamentation, that is currently on display. 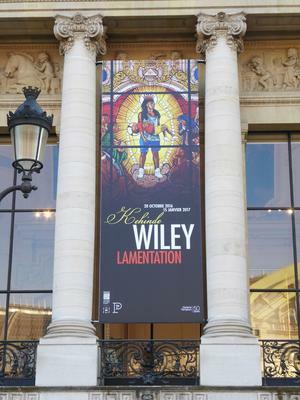 Much of the press about the show, and even the information presented at the museum itself, indicates that Lamentation contains ten works by Wiley. In fact, there are only nine - three oil paintings and six stained glass windows. But no matter - they are well worth a visit to this beautiful museum, which is located just off the Champs Elysées. 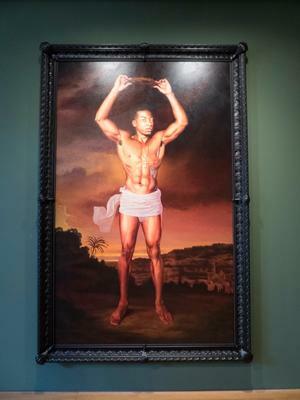 Kehinde Wiley continues his exploration of religious iconography at the Petit Palais. By focusing on the story of Christ and his relationship with his mother, the Virgin Mary, he is initiating a thought-provoking conversation about masculinity. 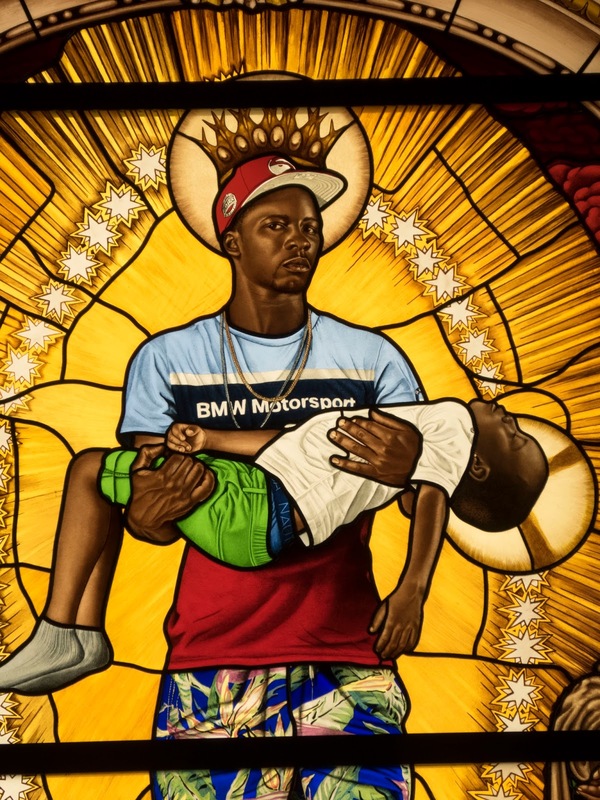 The previously unseen series of six stained glass windows exhibited at the heart of the large format gallery center on the figure of a young Christ: the artist moves beyond the religious context to explore the expression of his vulnerability - the vulnerability of the dead child and the adult Christ. The six stained glass windows are displayed in a hexagonal structure at the rear of the "Large Format Gallery." They are found between the majestic The Funeral Day, a Scene from Morocco by Jean-Joseph Benjamin Constant and several works with religious themes, such as Gustave Doré's The Ascension and William Bouguereau's The Virgin with Angels. Each window portrays an adult holding a child. Though three of the adults are men, the names of these works indicate that the man represents Mary, Mother of God. In the works entitled Mary, Comforter of the Afflicted I and Mary, Comforter of the Afflicted II, the man carries a dead child. 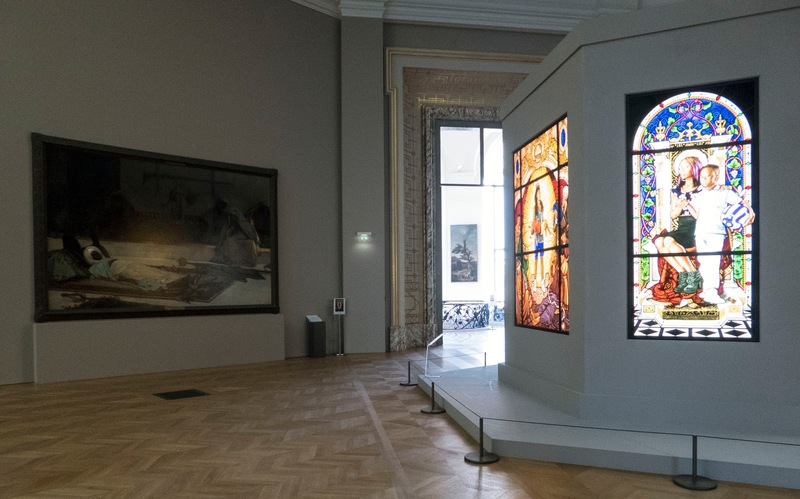 Downstairs, a room is dedicated to three monumental oil paintings that complement the stained glass windows. 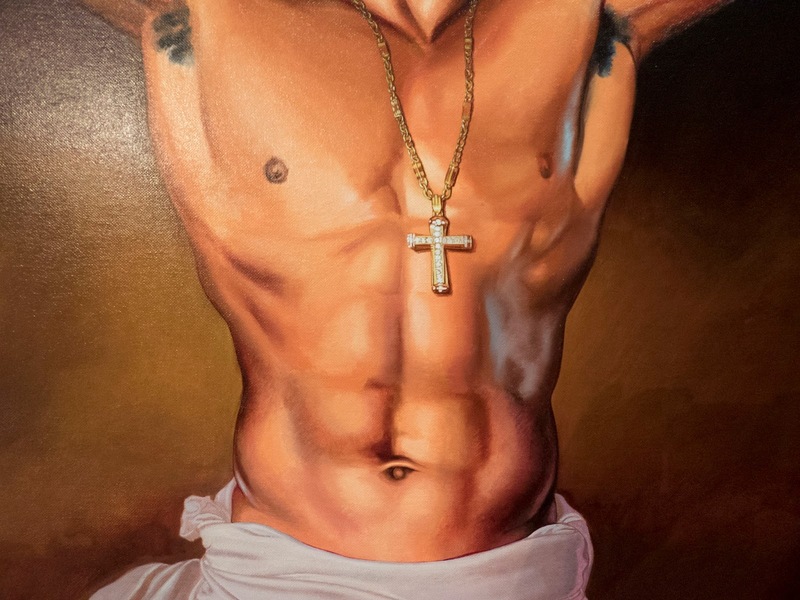 Together these works offer a bodily representation of the Christ figure. By choosing to focus on the body, the most concrete and vulnerable, if not animal, aspect of his "personality", Kehinde Wiley takes a highly contemporary approach to reviving the debate of the divine or human nature of Christ, the eternal dichotomy between body and mind. 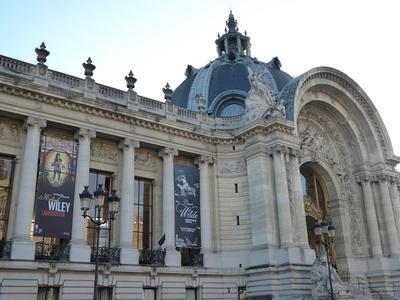 The signature piece of the exhibition, Lamentation, is found here. Wiley has indeed focused on the "body of Christ" in these works, rendering each subject with anatomic precision. In Christ after Lady Macbeth I and Christ after Lady Macbeth II, one can easily imagine that the Christ figure was a bodybuilder. 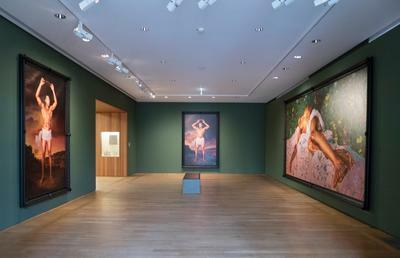 Only a few days remain to see this exhibition. It closes on January 15. Hours: Tuesday through Sunday from 10 AM to 6 PM. Closed Mondays. 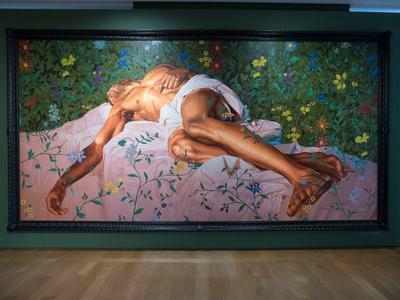 Entry to the Kehinde Wiley exhibition is free.